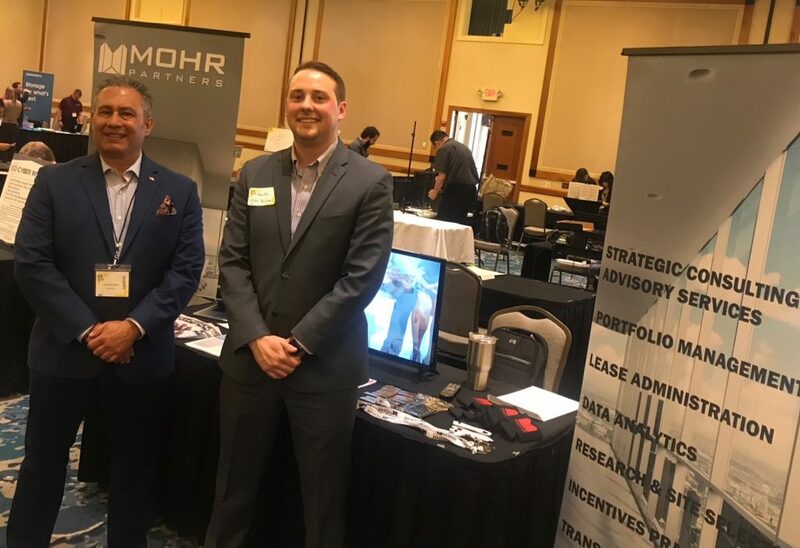 PHOENIX, AZ – March 29, 2017 – Mohr Partners, Inc., the world’s largest wholly-owned commercial real estate advisory firm exclusively focused on representing tenants, was spotlighted at the SynTech Technology Conference on March 27. Mohr Partners’Jeffrey Garza Walker, Joshua Rodriguez and Keith Weaver represented the company and gave a presentation on the Horizon Business Intelligence platform. “Mohr Partners received overwhelming response to the Horizon Business platform that is bringing technology to CRE in a way that takes companies from being tactical to strategic,” Garza Walker said. Horizon helps Mohr Partners’ clients improve their portfolios and achieve their business goals by developing custom analytics tools. With a clear, customized picture created with smart data, clients can make better decisions and plot efficient courses for their business. Horizon’s business services include documented forecasting, space utilization analytics, multi-location strategy, consolidation strategy and reduction of rent analytics. SynTech is the Arizona Small Business Association’s premier annual product demo event connecting small business with current technology and market trends. The conference provides business owners a chance to network with industry executives and technology experts and learn about new tools and resources that help improve their business. Topics represented at SynTech range from e-commerce and sales automation to cybersecurity, cloud HR and virtual reality. Mohr Partner was the premier CRE firm using technology within corporate real estate services at the event. Mohr Partners, Inc. is a global corporate real estate services firm providing tenants and occupiers integrated solutions including strategic consulting & advisory, portfolio strategy/lease administration, research and site selection, location incentives consulting, transaction advisory, project management and business intelligence/data analytics services. Since 1986, Mohr Partners has been managing real estate portfolios for organizations around the world. Mohr Partners’ 200 professionals working from the firm’s 22 North American owned offices, deliver integrated services worldwide through strategic alliances with best in-class partners in Mexico/Latin America, EMEA and Asia. As the leading diverse commercial real estate firm, Mohr Partners became a certified Minority Business Enterprise (“MBE”), by the National Minority Supplier Development Council (“NMSDC”) in 2017.